'Scanlation' is an online industry that grew up around the Western desire for Japanese manga and Korean manwha - entire libraries worth of fascinating pictorial stories, almost all of it not available in official, legal translation. The demand and the rise of the internet soon led to the scanning and then translation of releases, posted online by 'scanlators'. I call this an 'industry' because aggregators quickly sprang up, lifting the scanlations from individual scanlator sites and creating massive scanlation sites making an ad-fuelled fortune from all those manga-hungry clicks. As a further response to this, a site called Batoto.net was created that combined aggregation with a system that allowed the original scanlator to receive the ad revenue. But where were the original creators in all of this? For a long time, nowhere but annoyed. As anyone battling online piracy is aware, it's a hydra not worth your energy fighting. And the majority of scanlations sat in a legal grey area, since there were no legal English translations available. Some scanlations sites wouldn't host manga that was available in English-speaking versions - others didn't care. And, like a lot of online piracy, it did serve an advertising function, leading to sales if and when English versions did become available. I've certainly bought shelves of tankobon (manga volumes) for series I'm unlikely to have known about otherwise (though the official English translations were often of lower quality than the scanlations). But still, it is piracy, even if it sits in a grey area, and that's something I generally try to avoid if I can get something legally. I'm fairly sure that if various manga publishers set up an e-subscription model, even if it was untranslated, quite a few people would balance their consciences by subscribing to the manga they read in scanlation format. Korean web comics (webtoons) sit in a slightly different area. Increasingly popular in the last few years, they are hosted by ad-revenue sites such as Naver, and thus technically a Western reader who happens to read Korean can legally enjoy them. This, of course, doesn't remove the need for scanlations for non-Korean speakers, but you could support the original webtoon by first reading through the Korean version, and then reading the English scanlation (or just a blog post with text translation). Indeed, for some of the more popular webtoons, it's quite fun to sit up for the midnight chapter releases, talk about them on blogs, and then go to an aggregator later for a scanlation. So, anyway, long story short, if you're curious about Korean webtoons, but want to read them legally, now you can! Some of the scanlation of hundred-chapter webtoons has barely begun, but others have the full series available. Unfortunately, as seems to be inevitable, the official translation is not fantastic - all the really formal characters have been translated using casual slang - but it's quite readable and the pictures are pretty. 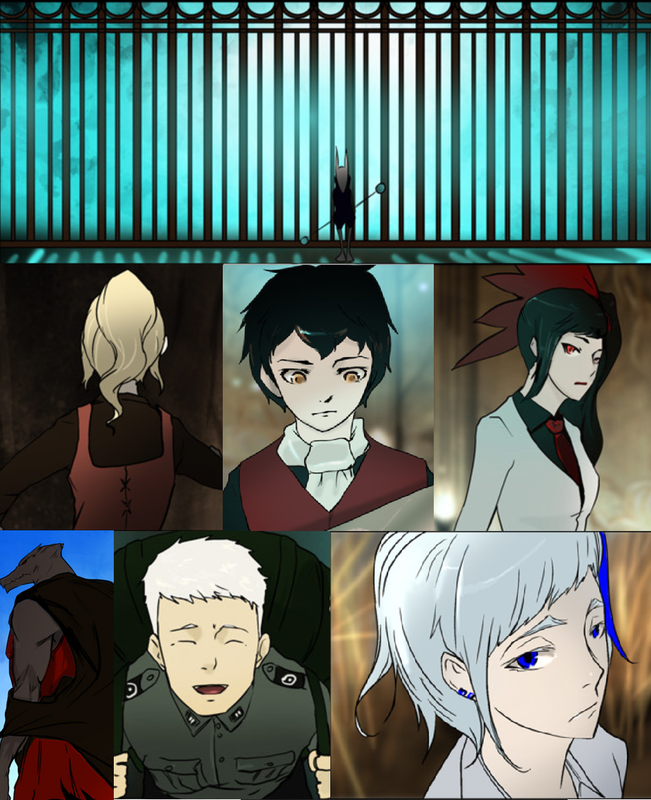 This is Tower of God, which was one of my Hugo nominations this year. Only 111 chapters! Cast of millions! Fun! Perhaps the problem is the Korean attitude toward property: if it is physical, it has value; if it is intangible, it has none. Thus, a blank CD is valuable, but the music printed on another CD is not. By the same reasoning, a manwha book has value, but once scanned, the digital copy has none. What is the harm in taking something of no value? Korean music artists know this. The Korean music industry does not make money on the sale of music. They make money on live performances. Oh, well Naver clearly doesn't tie value to physical, since their revenue stream is online advertisement based, after making interesting stuff available online. Creating their own scanlations is a big step forward (since, presumably, they'll get some form of click revenue out of it somehow, though I don't actually see ads there). The creators of physical manga, however, are lagging rather badly in capitalising on their online non-local revenue stream.